Producer Legowelt has just released a free sample pack that features the sound of the legendary synth the Minimoog. The pack contains 223 samples of a 1970s Moog Minimoog analog synthesizer. All included samples are in 16-bit WAV audio files. 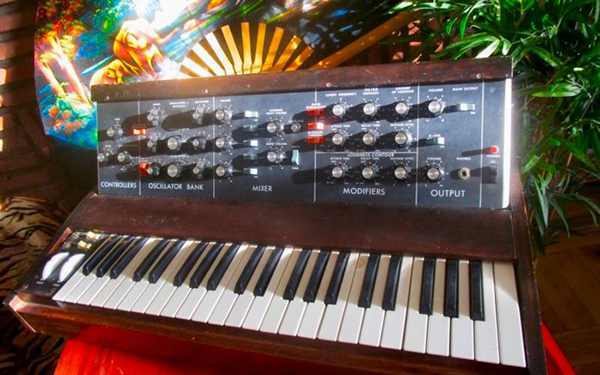 The Minimoog is one of the most popular and famous analog synths ever created. “Something to survive the easter egg onslaught with -> 223 samples from my 1970s Moog Minimoog synthesizer Serial number#5529. Including all the noise, dust, crackle, unstableness and sheer uncorrupted walnut-wooden sensuality you can get with a real MINIMOOG. All in 16 bit WAV format! Use its brute discrete analog power in your own sampler!